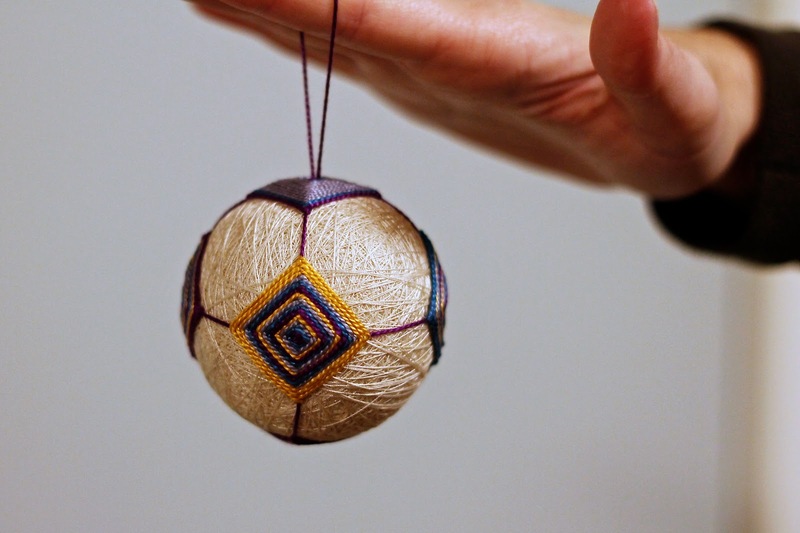 Sometime back in November, I took a Temari class with the lovely Marilyn Romatka, at The Weaving Works in Seattle. A friend had asked me if I wanted to take this craft class with her, and per my usual, I said yes without really knowing what it was. I couldn't have been happier with this class, and I foresee many more Temari balls in my future. As a matter of fact, many were gifted for Christmas last year, after a few weeks where I couldn't stop making more, and I'm terribly late sharing this with you. I think that I kept deferring this post because it seemed to be so special and unique, that it needed particular attention. But it hasn't been getting any attention in my drafts, so here it is. Before sharing more about what Temari actually is, a word about our teacher: amazing. You know you have found a gem when her response to someone saying "I still don't get it" is "Don't worry, that only means that I haven't yet found the right way to explain it to you." She is patient, skilled, positive, and really just lovely. Temari, according to Wikipedia, means hand ball in Japanese. 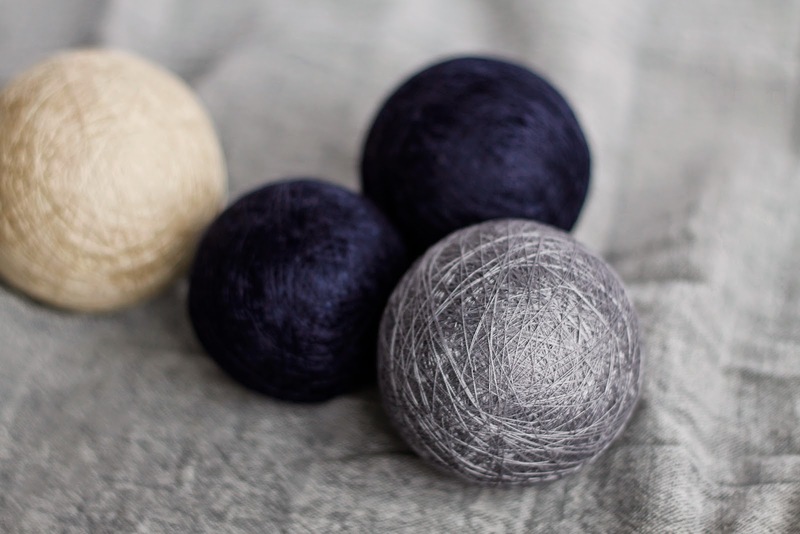 They are Japanese embroidered thread balls, believed to have originally been made out of kimono remnants and silk threads, as toys for the upper classes. They have evolved into intricate pieces of art, still given as gifts today. The level of complexity on some of the designs is absolutely mind blowing. 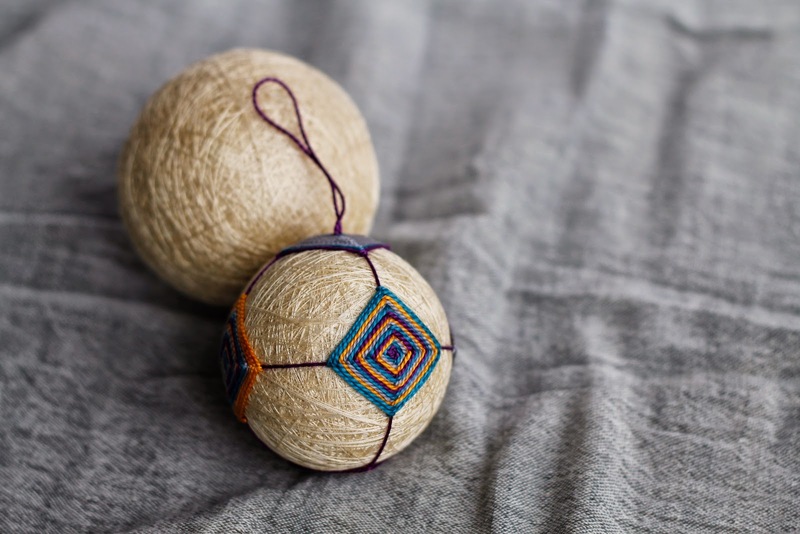 The materials needed to make Temari balls are few: yarn, thread, a long, sharp needle and pins. This makes it a craft of choice in our small loft, while I'm dreaming of my future craft room/office, in this dream house that couldn't become ours soon enough. 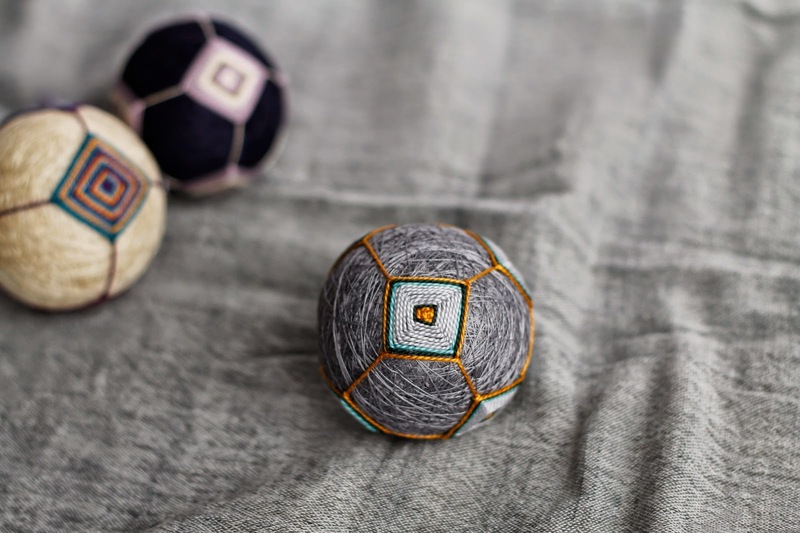 The balls are formed with scrap yarn, then carefully covered in thread. 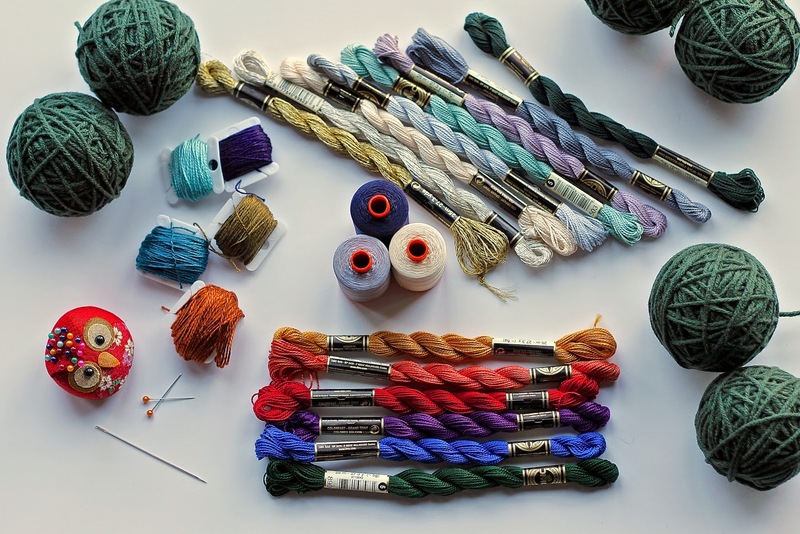 I typically have lot of scrap yarn lying around from previous knitting project, which makes it a perfect way to use them up. 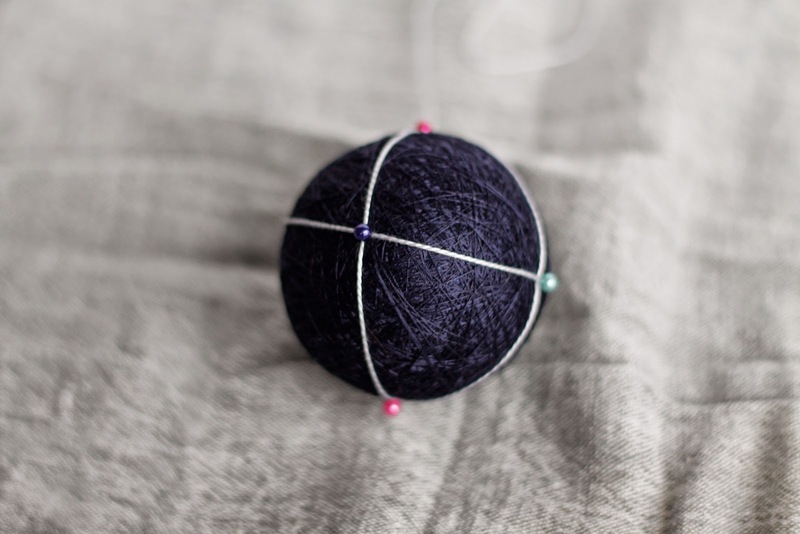 I used worsted weight yarn in the middle, and then covered it with a layer of sport weight yarn in a similar colour as the thread I was planning to use for the background of my Temari ball. Forming a perfectly round ball is definitely challenging, and I wouldn't say that I've quite succeeded yet. But I'm working on it. For a while, every vase/bowl in our living room served as a ball holder, at various stages of the process, and I have to admit, I liked it. By some sort of miracle, Noodle showed no interest in my yarn balls, and they remained intact. 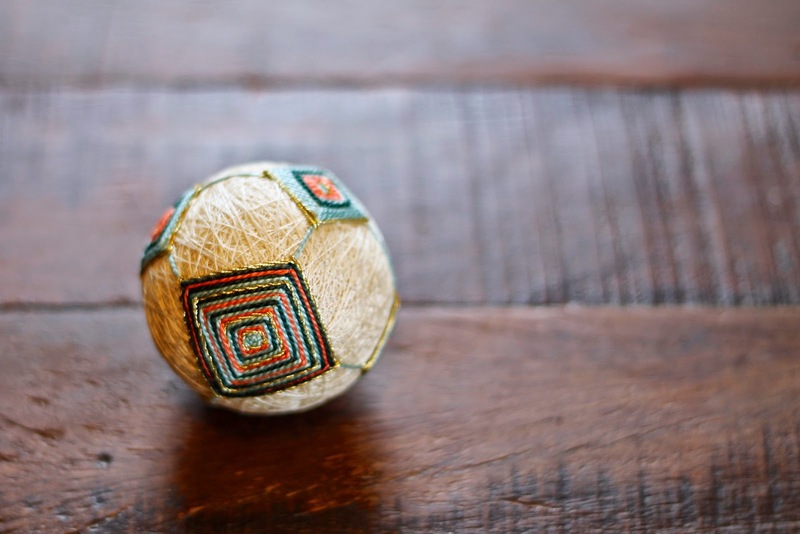 Once the balls are completely covered in sewing thread and the threads are secured, the fun part begins. 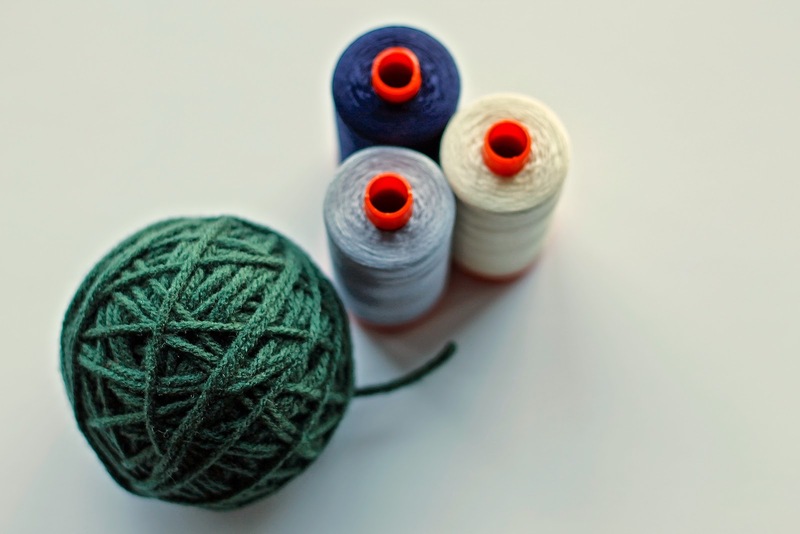 Pins are used to secure the guidelines, which are divisions made of wrapped thread, around which the stitching will take place. 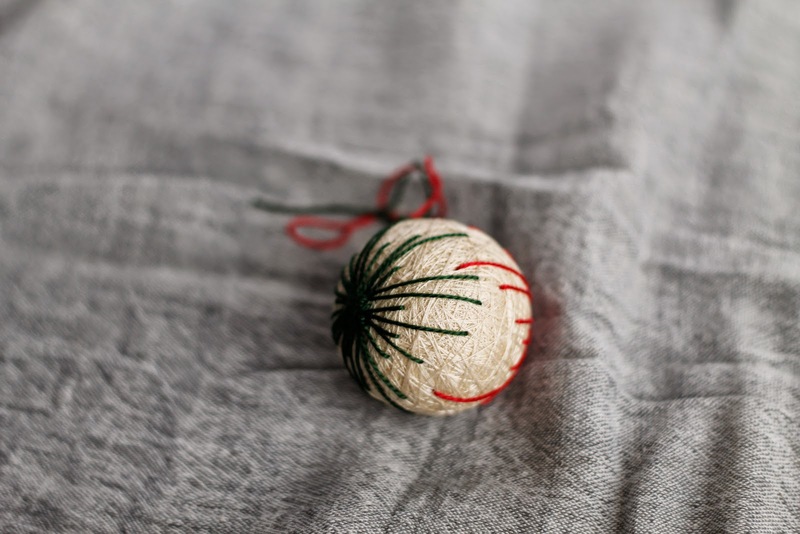 So far I've stuck with the basic stitch pattern learned in class, and just enjoyed changing up colours, or doing some little experiments like with the green and red ball on white background at the bottom of this post. But I recently purchased this great book, and I'm excited to try some more complex designs. Since I was giving mine during the Holidays, I added a loop to make them into ornaments, ready to be hung. They would also look lovely without the loop, in a bowl or on a plate, on a side table.